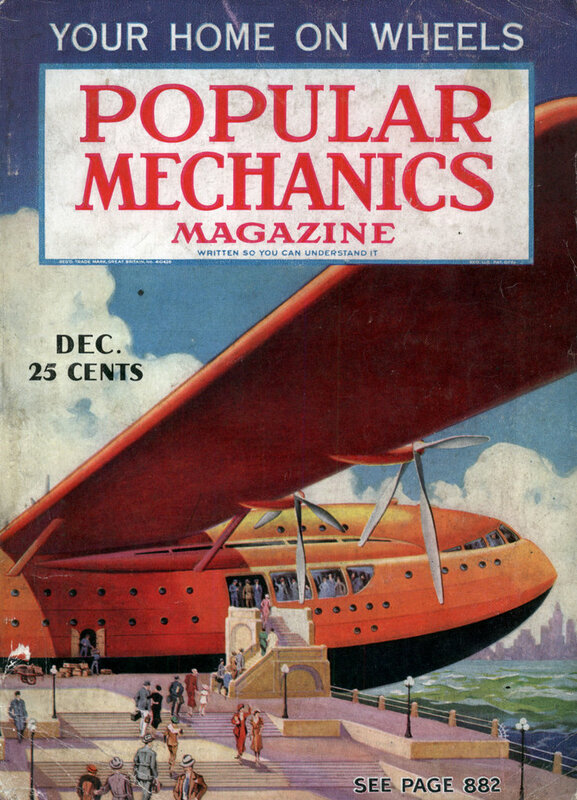 This is obviously where Google stole the idea for the cameras on their street view cars. 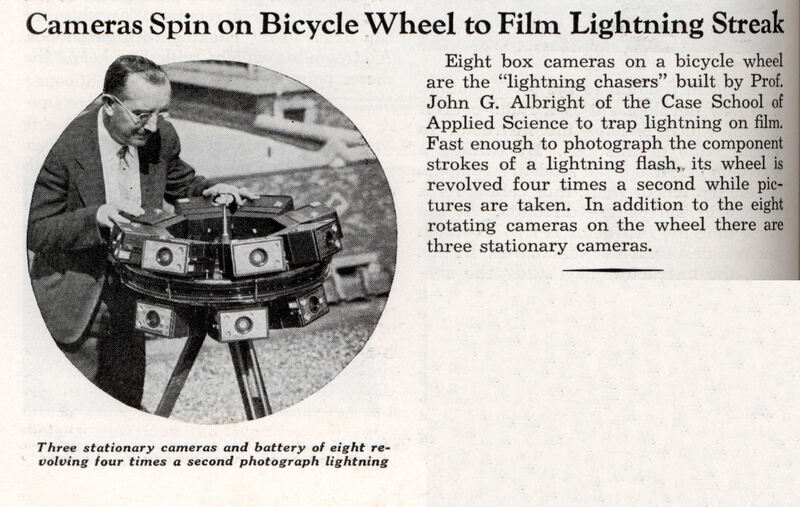 Eight box cameras on a bicycle wheel are the “lightning chasers” built by Prof. John G. Albright of the Case School of Applied Science to trap lightning on film. Fast enough to photograph the component strokes of a lightning flash, its wheel is revolved four times a second while pictures are taken. In addition to the eight rotating cameras on the wheel there are three stationary cameras. Oooo… So close to the camera system used in the “The Gap – Swing” special effect.